A six member delegation led by Ministry of Finance Secretary Dr. R.H.S. 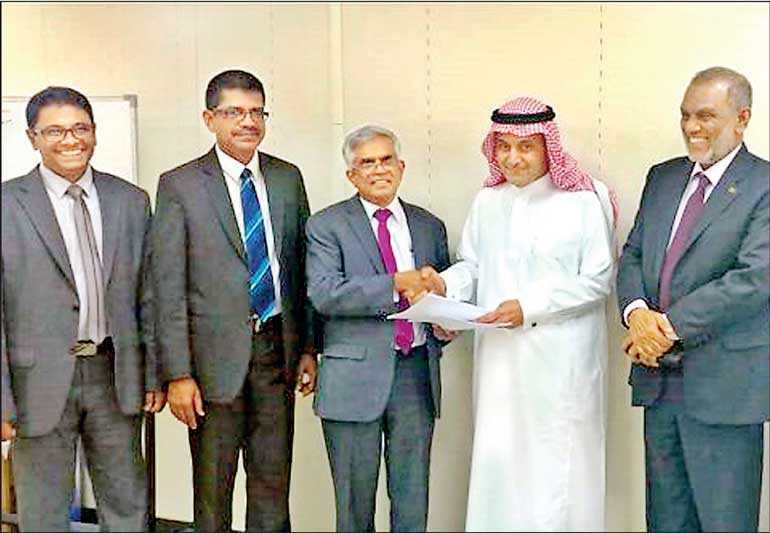 Samaratunga visited Riyadh from 6 to 9 April to negotiate the loan arrangements of the “construction of Faculty of Medicine project of the Sabaragamuwa University in Ratnapura” with the Saudi Fund for Development. This project was launched with the aim of constructing the essential infrastructural facilities and to provide students with state-of-the-art teaching and learning facilities (laboratory and other equipment) at the Faculty of Medicine at Sabaragamuwa University of Sri Lanka.